Sunflower Valley társasjáték - Magyarország társasjáték keresője! A társasjáték érték! A Sunflower Valley egy nagyszerű társasjáték, 2 - 5 játékos részére, az átlagos játékidő rövidebb, csak 45 - 60 perc. A társast, 8 éves kortól ajánljuk kipróbálni. A játékmenet erősen épít a vonal húzás, a ceruza-papír, a kockadobás, a terület befolyásolás/irányítás és az útépítés mechanizmusokra. 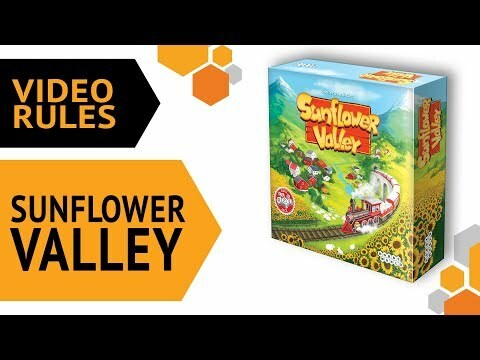 In Sunflower Valley, you draw your own mountain valley based on the tactical use of a shared pool of dice. 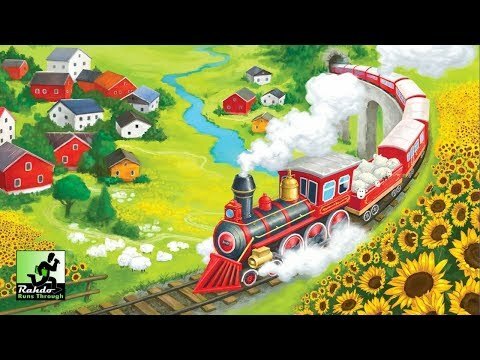 Spread your villages throughout the valley and connect them with railways to earn points. Meanwhile, gain extra rewards for cheering up your villagers by cleverly planting sunflowers around the mountains. Remember that your villagers need enough sheep, too! And there are other players out there competing for the most valuable dice, so grab a pen and start drawing your valley in this creative strategy game! 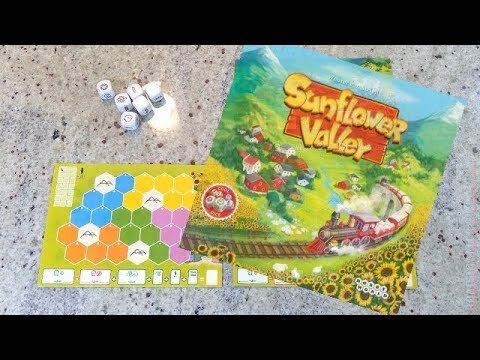 Sunflower Valley is a creative pen-and-paper world-building game. Score points by drawing icons in the colored regions on your drawing map by cleverly using the dice. The game ends when no free spots remain on any player's drawing map. The player with the highest score at the end of the game wins!